I'm guessing that you love these summer-like days we've been having in Pittsburgh as much as I do! And what is one of the best things about summer? Sandals, of course! 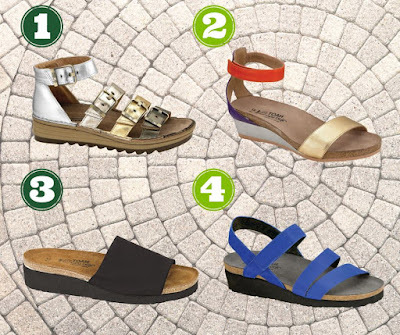 As a mom to four, I am singing HALLELUJAH when we can walk out the door in the time it takes everyone to slip on sandals instead of the sock-finding, the shoe-tying, the general shoe chaos!!! :) But if you're also like me, as you get older, comfort of shoes gets more and more important. You realize after spending a day in flip flops that your feet don't love you for that choice! But I'm also not ready (yet) to totally throw fashion out the window, so my summer mission always becomes finding sandals that are comfortable, supportive for my feet, and not totally u-g-l-y! I was very excited to be introduced to Naot Shoes for several reasons. Our uniquely engineered insoles are a blend of natural latex and cork that are designed to replicate the shape of the foot, just like the footprint we leave when walking the sand. Yes! With hundreds of shoes from which to choose, I can definitely find a pair that fits my style. This weekend they are hosting a #NaotGivesBack event at Little Shoes in Squirrel Hill. They shared, "This event allows us to combine two things that we love, fashion and helping those in need. Everyone invited to attend the event will be able to contribute to the Squirrel Hill Community Food Pantry just by simply trying on shoes. 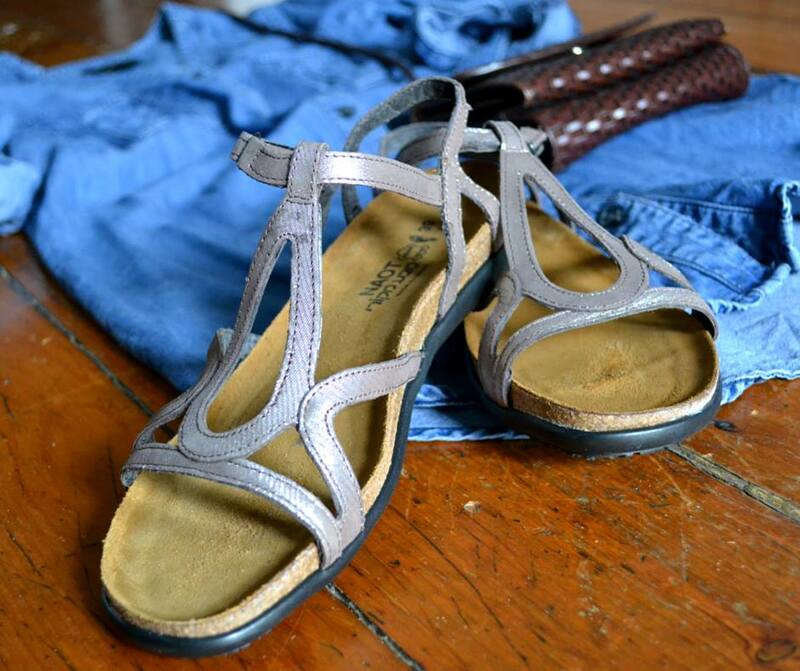 Try on a pair of Naots, we will donate a pair to those in need. If you buy a pair, we will donate two pairs. It's fashion for a cause!" 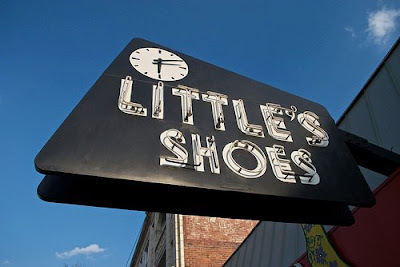 I'd like to invite you to stop by Little Shoes during their 3-day event this weekend! Simply by trying on a pair of shoes you can give back to our community! The mission of the Squirrel Hill Community Food Pantry is to end food poverty in their community by addressing the immediate food needs of those who are struggling with hunger and giving Food Pantry clients the help and support they need to address the underlying cause of their food insecurity. 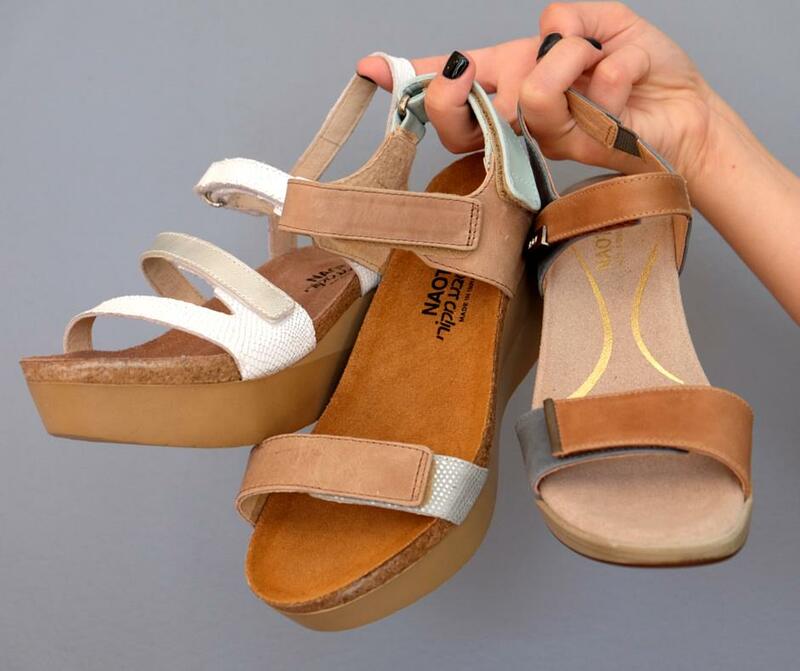 I'm excited to try out their sandals, but even more thrilled that we can all support these donations simply by stopping at Little Shoes this weekend and trying on a pair of Naots! It really doesn't get any easier than that, does it? The more the merrier, so grab a friend to tag along as well. This section of Forbes Ave. is lined with great places to eat, ice cream shops and a Carnegie Library location, so it's a great place to meet up! You can share your favorite pair on social media with #NaotGivesBack. What number is YOUR favorite? 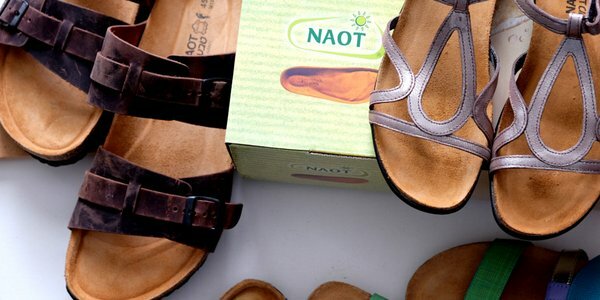 Thanks to Naot Footwear for sponsoring this post. I was given products in exchange for my review. All opinions remain my own as I don't endorse products that I don't love!